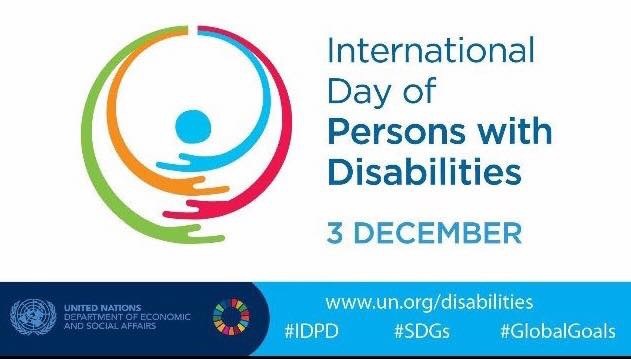 Today, 3rd December, is the International Day of Persons with Disabilities. As a woman with a disability living in the UK, I wanted to write a blog to celebrate this day and talk about some issues that are important to me. The 2018 Theme is “Empowering persons with disabilities and ensuring inclusiveness and equality”. Empowerment is a key necessity in the world of disability. Disabled people need to be empowered by society to achieve their full potential, to engage in society, to live full lives and to live their lives in the way they choose, with the support they need to achieve it. The disability rights movement in the UK, which culminated in the Disability Discrimination Act 1995, shows what can happen when disabled people join forces, work together and stand up for their rights. With the current austerity in the UK, we really need to mobilise the disability community to join forces, work together and be the agents for change to rectify this situation. We need a reincarnation of the disability rights movement of the 70s, 80s and 90s, together we are stronger and can achieve so much. There is so much great work going on around disability, but the problem is, we’re doing it in isolation. From the Changes Places campaigning including #incLOOsion by Sarah Brisdion and a group who have worked alongside her, and the motorway services lobbying by Zack Kerr, to the work on autism and girls by Carly Jones MBE, and the autism and employment and social mobility work by Jonathan Andrews MUniv, to the work of incredible individuals on public transport such as Anne Wafula Strike, Dame Tanni Grey-Thompson and Tanyalee Davis, to Chloe Tear’s work on disability in education, to Parmi Dheensa and Include Me TOO working to improve the lives of disabled children and young people in the UK and across the commonwealth, as well as specifically for BME families; there is so much great work going on but I feel like it’s very disjointed and we need to come together as one unified taskforce, with multiple facets within that campaign – we need to create a movement. We as disabled people need to work together to affect change on a local, regional, national and international level. 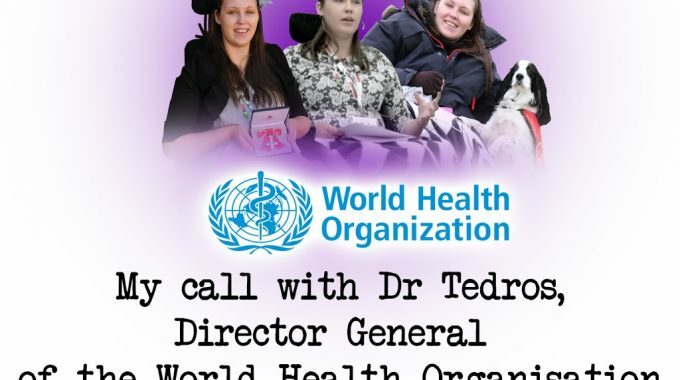 I talk on this mainly in terms of the UK, but we in the UK also need to do more to influence disability rights, equality and inclusion around the world, too. We can only achieve the best possible outcomes if we all join forces. I do my best as a disabled person to affect change for people with disabilities, my work especially taking place within health and social care and getting the care and support we require, as well as sexuality and disability, SEND and disability research, but I would love to do more around accessibility, attitudes, equality, social mobility, employment and rights for disabled people. Something for the future, maybe? When I have the time to add more to my schedule, that is! “A project on identities got me thinking about my identity and what it means to me. ‘Who a person is, or the qualities of a person or group that make them different from others.’ This is the definition of identity according to the Cambridge dictionary. I agree with Emma – when people talk about disabilities not defining a person, I am always quick to say that my disability is part of my identity – you can’t remove it from me – but it is not all of me, I have a lot of other aspects to my identity, qualities, attributes, skills, talents, interests and so on, other than my disability. To define me only by my disability is wrong. To include my disability as part of my identity, however, is correct – my disability forms a large part of who I am today, I’ve grown so much as a result, had so many experiences and opportunities due to my disability, I’ve learnt so much about myself and the world through my disability and though it’s taken a lot away from me, it’s given me a lot too. I wouldn’t be the ‘Lucy’ I am today if I didn’t have my disability – I’d be a very different person. I certainly wouldn’t have this incredible life I lead – I’d have a good life, but it wouldn’t be this life. I am proud to be disabled, it’s not something I am ashamed of or want to deny. I am a disabled person – there’s so much debate with person-first language, but to my mind, I am a disabled woman, I don’t have to be a person with a disability; I’m a disabled person. Disabled not by my disease, but by society and its refusal to be accessible (in every sense) and its refusal to include disability as a natural part of the diversity of the human form, treating us as ‘other’ – and less than. If society was completely accessible, physically and attitudinally, if it adapted itself to all members of society, if it was truly inclusive, if disability wasn’t seen as ‘other’ or ‘less than’ and we celebrated all forms of diversity inclusive of disability, then disability itself wouldn’t actually exist, as we would not be disabled by an inaccessible and excluding/exclusive society. Wouldn’t a fully inclusive, accessible, open and supportive society be wonderful? I am proud to be a disabled person and to have this International Day of Persons with Disabilities but I don’t want our lives to only be the focus on certain days, I want us to have equality, accessibility, understanding, support, inclusivity and rights upheld 24/7. We as disabled people need to join forces and recreate the cohesive, combined and collaborative movement as was utilised by the disability rights movement of yesteryear. We benefit from the legacy of their hard work, but we have so much we need to do, and we need to join forces to recreate this national joined-up approach to disability activism and campaigning to truly make a difference. previous post: Health & Care Workforce Crisis, Up-Skilling Staff & Task Delegation: A Solution?